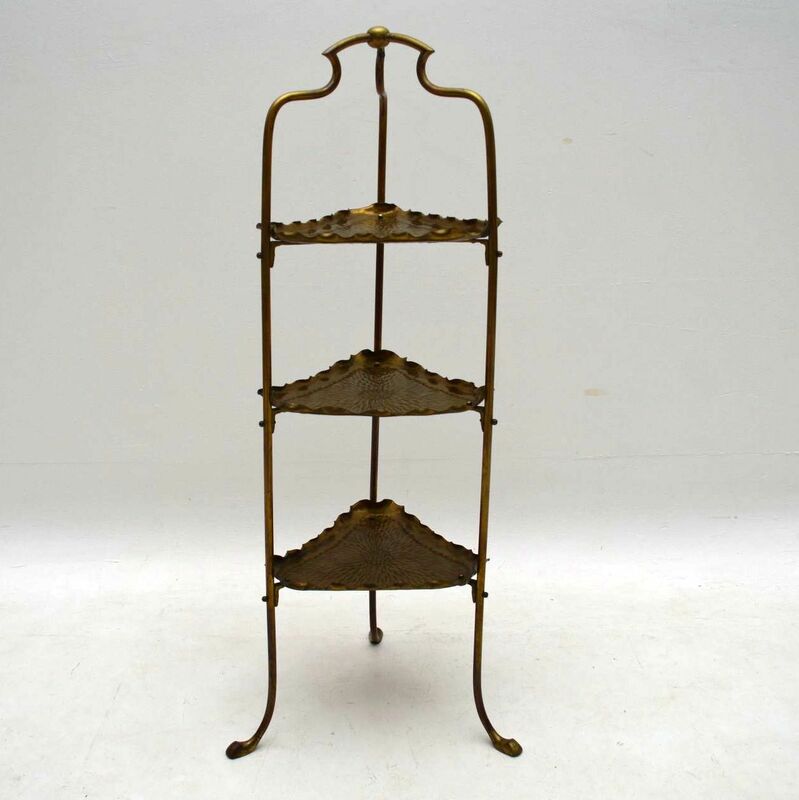 Antique Brass Cake Stand by Samuel Heath & Sons | Interior Boutiques – Antiques for sale and mid century modern furniture, french furniture, antique lighting, retro furniture and danish furniture. 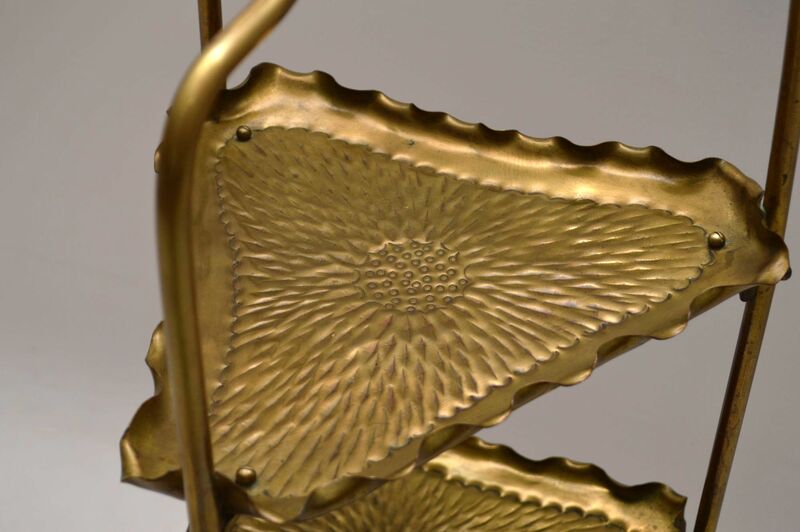 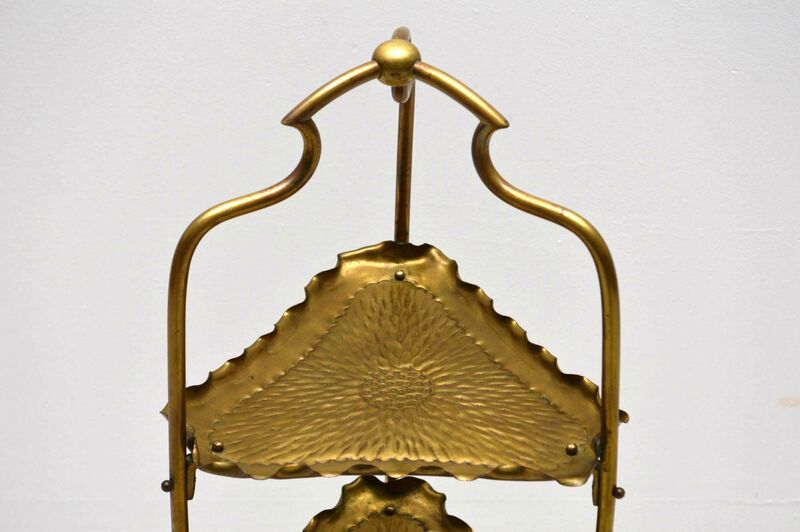 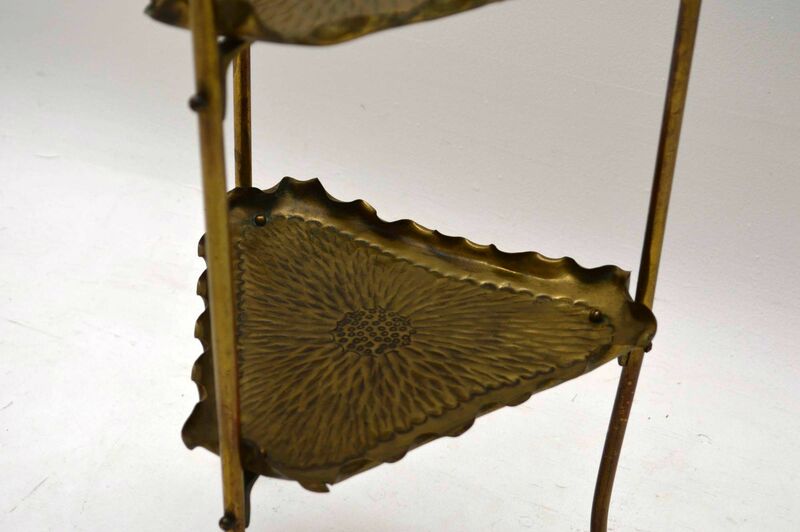 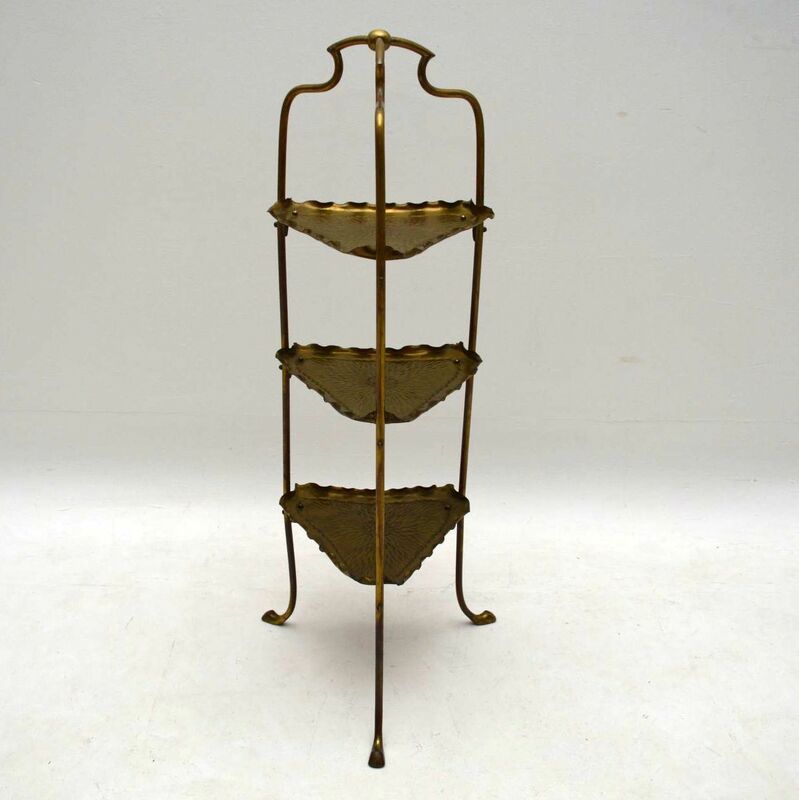 This antique brass stand consists of three triangular shaped trays fixed into a three legged stand. 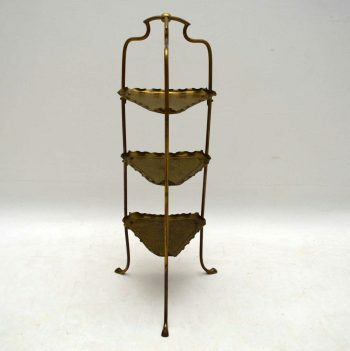 It’s very stylish & looks to me like it’s from the Arts & Crafts period, which is late Victorian. 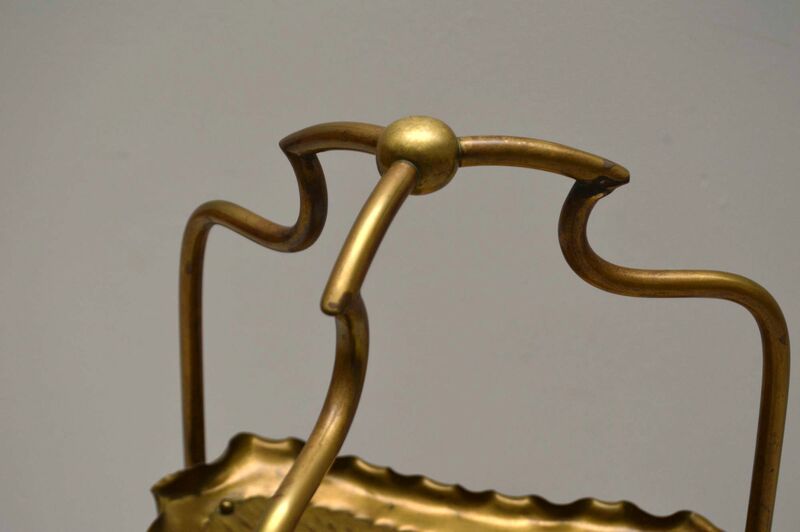 It also bears the makers mark engraved into the base (see image). 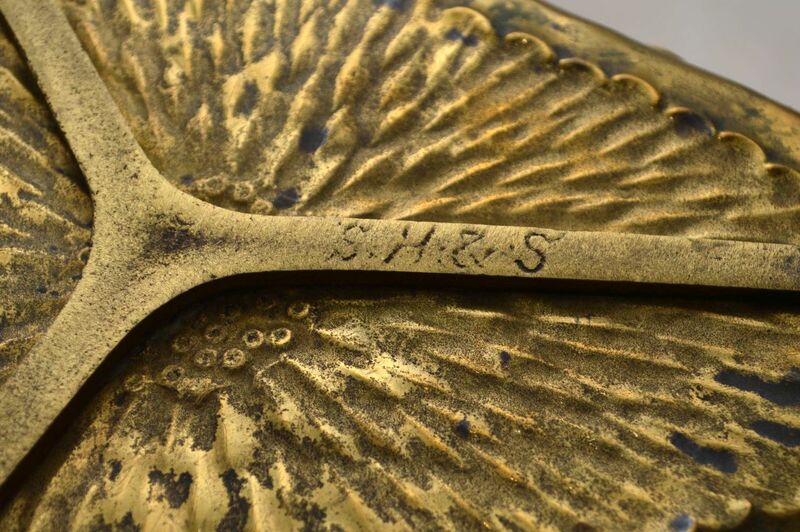 The maker was Samuel Heath & Sons. 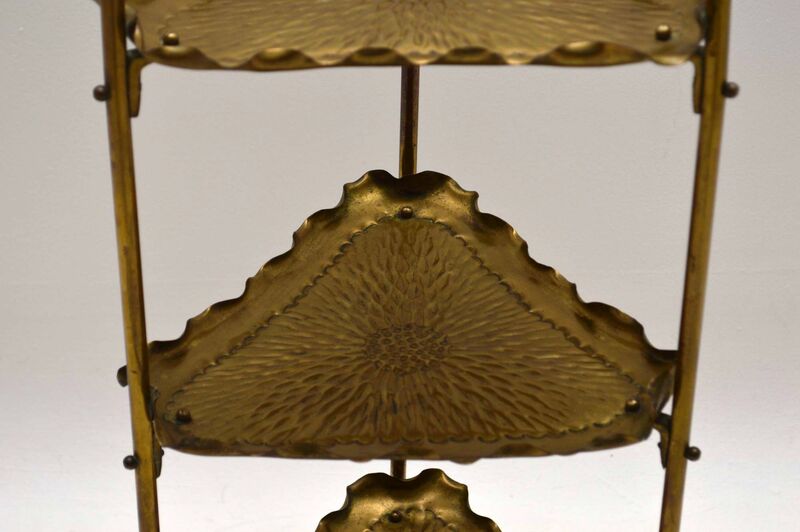 I presume it’s actually a cake stand & is in lovely original condition. 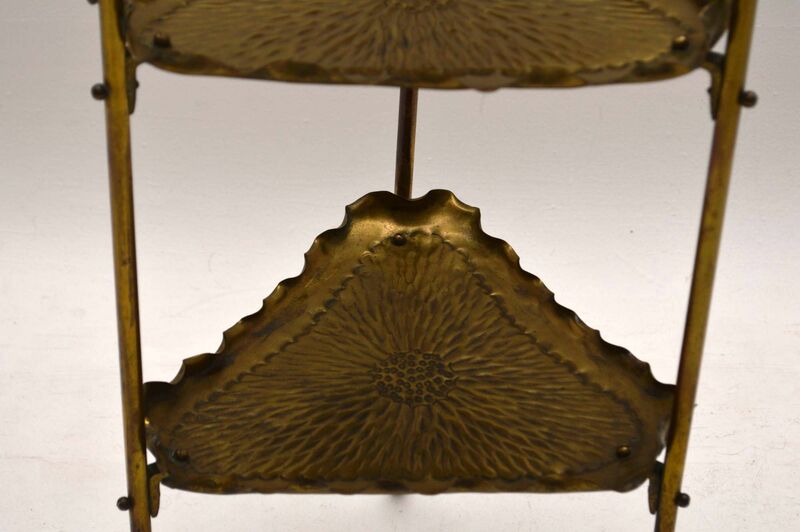 This stand has many fine details, so enlarge all the images.